why protect trees during development? It is widely known that trees offer many benefits to the built environment, including providing visual amenity, beneficial shading, noise abatement, softening or complementing, and adding instant maturity to new developments. Therefore it should be no surprise that most people choose to live around trees where possible. By virtue of their intrinsic beauty, trees can increase property values and selling prices by between 5% and 18% (CABE Space, 2005 and Morales et al, 1983) More recently, iTree has been used in London to fully quantify the millions of pounds in ecosystem services that trees provide year on year. On top of all this, trees are an important material consideration in the UK planning system. 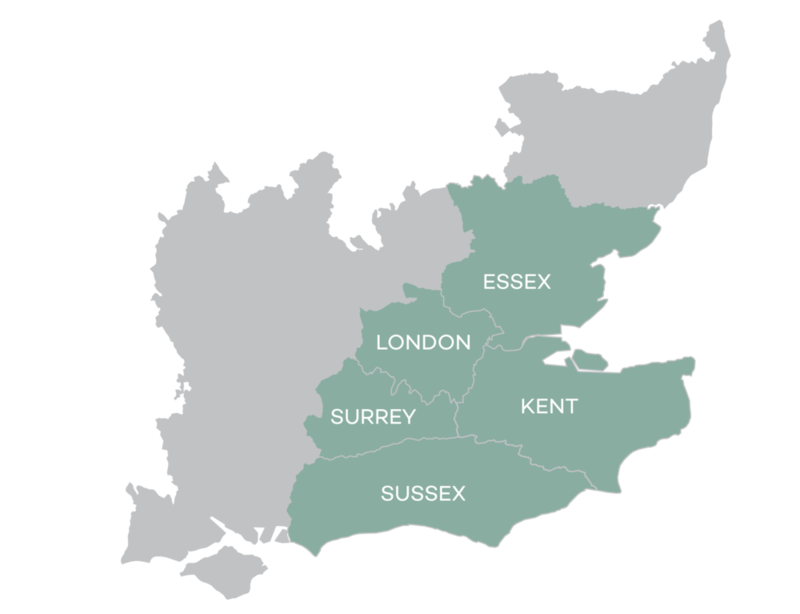 We help homeowners and developers throughout London and the South East in obtaining planning permission for projects of all sizes. BS5837, or to give it it's full name; British Standard 5837:2012 'Trees in Relation to Design, Demolition and Construction - Recommendations' is the current industry guidance document which is used by local planning authorities (LPA) and all those involved in planning, from large scale developers to individual homeowners, when it comes to assessing, protecting and replacing trees in relation to development. BS5837 tree surveys need not be arduous. Good quality trees retained appropriately can add thousands to the value of a development, so even for purely economic reasons they are worth preserving as the return on investment can be significant. Problems often occur when tree protection occurs as an afterthought, or worse, when good quality trees aren't protected at all. We encourage all of our clients to contact us for advice sooner rather than later, ideally before any plans are drawn up. Includes a site visit to collect data on all trees, including accurate location, species, dimensions and condition. The output includes a written report with a Tree Constraints Plan (TCP) a plan view showing all surveyed trees including constraints such as Root Protection Areas, especially useful in the early stages of planning. The initial proposed layout is overlaid onto our TCP to highlight direct and indirect impacts both to trees and the proposal. Those impacts are then evaluated and we may recommend mitigation measures to improve the long term relationship between trees and development, especially where we believe that such impacts can risk the LPA looking unfavourably on a proposal. It may also include a plan of retained trees and RPAs overlaid onto a proposed layout. The AMS considers all parts of the development including any remaining conflicts, access requirements, site storage and working methods and sets out the specification for all proposed operations within or near the Root Protection Area to be undertaken in a way which minimises the risk of adverse impact on retained trees to an acceptable level. Often produced alongside the Tree Protection Plan which is very effective at visually representing the key areas requiring mitigation. A plan-view document which indicates the precise location of the protection measures for all retained trees. The TPP will incorporate the mitigation set out in the AMS to ensure adequate tree protection is maintained throughout the proposed development. In addition to the above, Down To Earth also supply additional arboricultural input to help clients obtain planning on particularly tricky sites. Site supervision can be fairly wide ranging and usually becomes necessary where there is a conflict between proposal and RPA, and further information is required to accurately assess the likely impact to trees, or potentially the lack of impact. On one particular site we specified, arranged and oversaw trial excavations which knocked metres off an RPA by proving that roots weren't present.